You have until the end of today to register to vote or you won't be able to vote to leave the EU. 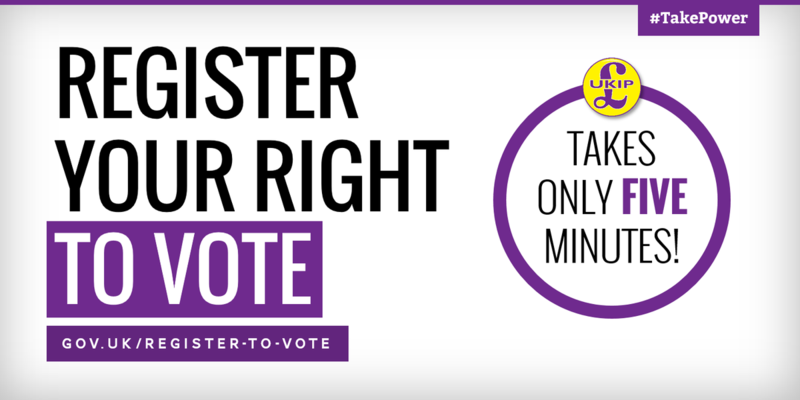 If you haven't already received your polling card through the post you're not registered. Don't miss out on this once in a lifetime opportunity to take back control of our country.